Originally based in Montreal, VICE Media started as a counter-culture magazine. Twenty years later, they have successfully morphed into a New York-based media giant on a mission to build a global youth media network. With the shift away from traditional marketing models, authenticity and audience-focused content are increasingly becoming essential parts of a successful marketing strategy. VICE started in 1996 with a $5,000 investment from each of the three founders’ parents, and from those humble beginnings has grown into a $1.4 billion dollar media empire by leveraging those same crucial assets. Modern marketers can learn a lot from VICE. Since its early days as a Montreal culture magazine, VICE has known their audience well, and they still do. It’s the most important reason they have such a loyal and growing following. They understand and respect who they are talking to and that, in turn, helps them create great content. 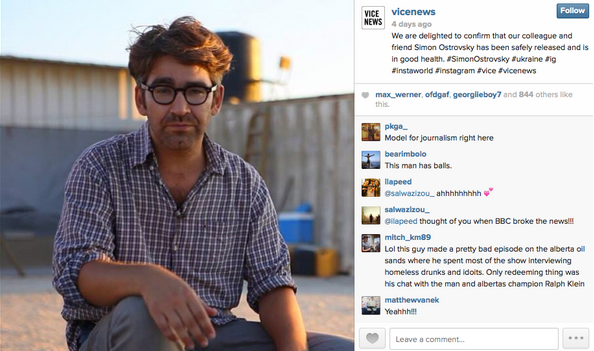 Regardless of your opinion on VICE, you have to acknowledge that they are doing something right. Because they still tell stories from the perspective of a small community culture magazine, VICE consistently produces content that resonates with their audience in a way that traditional media doesn’t. By telling authentic, unvarnished stories, they have achieved explosive growth, becoming a rare success story in a struggling industry. From a compelling documentary told through the eyes of Baghdad’s only heavy metal band in post-Saddam Iraq, to their ground-breaking work by Simon Ostrovsky in the Ukraine, VICE somehow finds the raw truth, even if they stumble into it. And that has helped them disrupt mainstream news. Another reason VICE is successful is because they assume their audience is smarter than they are. As a result, they have flipped the traditional framework of brand marketing and storytelling on its head. Instead of positioning themselves as a brand that solves their customers problems, VICE assumes its community understands the solutions better than its producers and editors. VICE empowers their audience to be the hero and plays the role of the mentor. As Adweek notes, VICE has focused their branding efforts to being experience-based and consumer-engaging (brand as mentor) instead of pushy and brand-centric (brand as hero). VICE assumes their audience is resourceful, connected, and has higher expectations for authenticity. By keeping these standards top of mind, they kept their product (ranging from their news site to their documentaries) in ever growing demand. VICE’s audience doesn’t need to be convinced to care about the brand, because they are already actively choosing to engage with Vice—that’s the advantage of being a great storyteller. This type of audience relationship is essential to grow a successful media brand, but VICE uses it in a way that offers lessons for other kinds of brands: their audience makes VICE’s brand part of their own story. VICE’s News brand voice projects humility, and in the saturated digital world of storytelling and brand awareness, this is rare. Their Instagram profile is a good example: the photos show regular citizens, journalists, soldiers, and whoever their reporters encounter in their travels. The images aren’t glamorous, but they shed light on the people and stories that aren’t always shown. VICE has found three keys to success in a noisy and competitive business: understanding their audience, being authentic, and truthful storytelling. The marketing industry has been shaken up by many of the same forces and trends that have shaped the media landscape in which VICE is thriving. Marketers should take note of how they’re doing it.